kc (Homepage) wrote: very nicely composed. Perry (Homepage) wrote: Skillfully done! Congrats! Marie (Homepage) wrote: couleurs et composition magnifiques ! conflagratio (Homepage) wrote: Fantástico HDR, muy bien conseguido, me gusta particularmente el tono dorado que todo lo enjoya sin estridencias. Saludos! 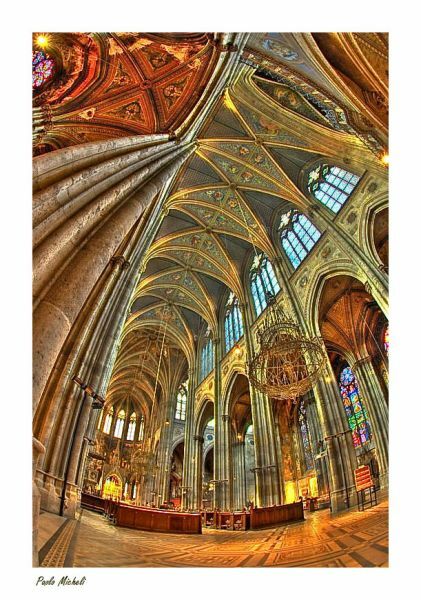 cako (Homepage) wrote: Wow ... this is a beautiful church and a great photo. Impressive lights and processing. Turnbill (Homepage) wrote: Beautifully shot and processed - took me a moment to spot the bulb! Love to see a larger version of this photo. oldshutterhand (Homepage) wrote: Great wideangle HDR, Cologne? LGB (Homepage) wrote: Amazing detail, colors and composition. Superb picture! Ovidiu (Homepage) wrote: What a combination of colors! Almost like a painting. Outstanding! Denis (Homepage) wrote: Haha ! I want to visit this church at soonest ! Is it in Italy, is it a long trip to go?? Or does the trip begins with a white rail?? Marcie (Homepage) wrote: WOW! Don't know - exactly - what to say. This is amazing. Love all the 'effects'!!! Laurie (Homepage) wrote: The details and sense of scale are spectacular. Natalie | everyday-wonders.com (Homepage) wrote: gorgeous... great composition and the colors are stunning ..
beanow (Homepage) wrote: With impression hardly I can whisper: miraculous!